With our headquarters located in Monroeville, PA, a short 13 miles outside of downtown Pittsburgh, it is not surprising that Compunetix employs a fair number of University of Pittsburgh graduates. Pitt, and specifically, it’s Department of Computer Science, have been linchpins of the region’s unprecedented technological growth over the past half century. 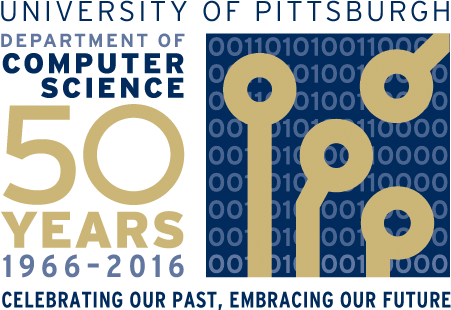 This year, 2016, marks the 50th anniversary of the this much heralded program and Compunetix would like to congratulate the entire Pitt organization on their outstanding growth, reputation and success. The University has recently launched a special webpage commemorating this great achievement. The page, found at http://cs50.pitt.edu/, provides links and information about the storied program’s past, featured alumni, and other celebration event details. 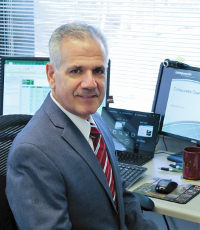 One of those featured alumni is our own Compunetix Vice President and Division Manager, Mr. Gerard Pompa. Jerry gained his undergraduate B.S. degree in C.S and Mathematics from Pitt before acquiring his M.S. in Computer Science. Check out Jerry’s bio here. In addition to the website, the school plans a series of talks and seminars culminating in a reception to be held on Friday, March 3, 2017 at the University Club in Pittsburgh, and a research competition for students to collaborate, express creativity, and solve computing problems.